To me it’s simple. If you’ve been hurt by someone’s negligence, the law says you are entitled to compensation. If you have a case, I will work tirelessly to make sure you get exactly what you deserve. For a lot of people, the accident they were involved in is just the start of the pain. They are no longer able to work, pay their bills, or lead a normal life. That is exactly why I am passionate about what I do. At Ianelli Law, I respect and treat each person I represent as an individual. I listen, take time to understand how your life has been changed by what happened, and make myself available whenever I am needed. I am an excellent communicator and keep my clients informed through every step of the process. A personal injury trial can take years to complete. You want an attorney who will be by your side to help you navigate every obstacle. Because of my extensive experience handling personal injury cases, I am able to approach every case proactively and foresee potential pitfalls. I am also a competent negotiator and understand how to secure the best possible settlement for you. If you have been injured in an automobile accident and have suffered permanent injury or significant time lost from work or your family, it is advisable to speak with an attorney about making a claim against those responsible. In New York State, an individual operator of a motor vehicle has a duty to exercise reasonable care at all times. When that driver fails to use reasonable care, it could be considered negligence. 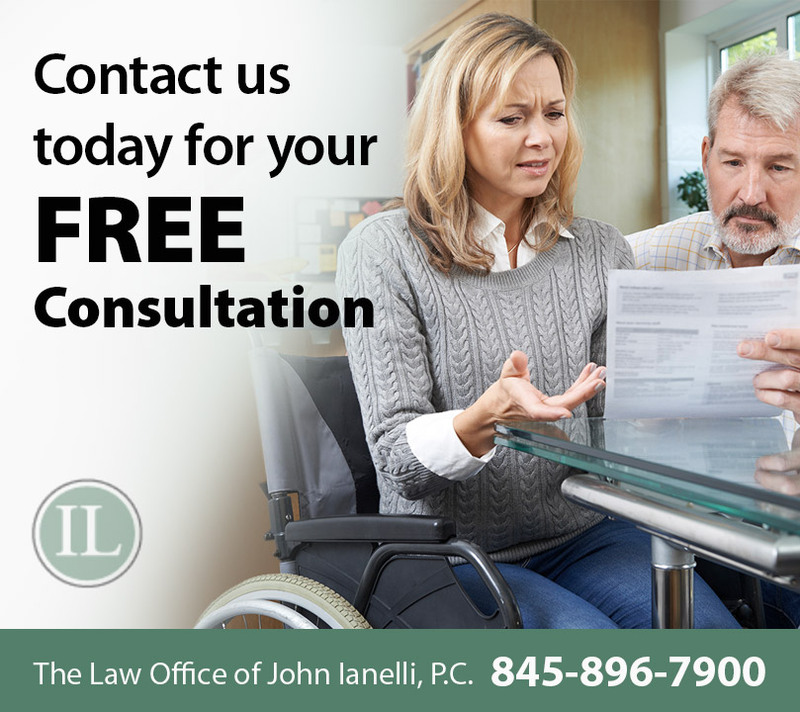 Ianelli Law will determine whether your case has grounds for a lawsuit and will assist you in every way when making your claim. An all too common life-threatening and life-altering result of a personal injury accident is brain damage. Lawsuits involving an individual who has suffered brain damage must be handled in a specialized manner. In the unfortunate event a person is unable to make decisions and a guardian is appointed, Ianelli Law ensures that person’s rights and assets are protected and that he or she receives the best care and compensation for the injury. If you’ve been involved in a construction-related accident, you should seek legal advice. You could be entitled to benefits to assist with your healing and compensation due to negligence. Whether at a commercial or residential location, construction accidents happen frequently as a result of faulty equipment, poor working conditions, lack of proper worker training, or even recklessness on another worker’s part. Dogs can be cute and friendly, but they are also unpredictable, no matter how well you may know them. Pet owners are often cited for their lack of control over their dogs, which many times results in serious bites that require thousands of dollars of medical treatment and rehabilitation. Dogs are often unleashed, which in many areas is against the law, and may strengthen your lawsuit if you, your child, or another loved one has been bitten or injured by a dog. Dangerous working conditions are often a result of old, worn, and possibly damaged ladders and scaffolding. Such equipment is expensive to replace, and business owners sometimes risk injury to their workers due to negligence in failing to provide safe and inspected ladders and scaffolding. Falls from ladders and scaffolds are common and often result in back, neck, or spinal injuries that may put the injured person out of work for several weeks or months. Ianelli Law will investigate your ladder and scaffolding accident claim to ensure you’re fully compensated. Often, people incorrectly believe that malpractice means unprofessional conduct that is worse or more serious than simple negligence. Medical malpractice is, in fact, ordinary negligence by a healthcare provider who causes injury. In theory, it is no different than any other negligence that causes injury; therefore, claims involving medical professionals are referred to as medical malpractice suits. These types of personal injury lawsuits are often the most complex of all forms of personal injury lawsuits. Ianelli Law understands the personal matters involved with medical malpractice and all the avenues to explore when it comes to collecting the maximum compensation from those involved, including hospitals, pharmaceutical companies, insurance companies, and medical professionals and their practices. Pedestrians have the right of way in many traffic situations, and motorists often make the mistake of trying to bully their way through traffic or heavily used pedestrian areas. Thousands of people are hit by cars, trucks, buses, and even bicycles each year. Ianelli Law is versed in preparing pedestrian accident lawsuits and has a successful track record of winning pedestrian injury suits. Inclement weather, a cracked sidewalk, or even negligence on the part of a business could cause a slip-and-fall accident resulting in injury, pain, and suffering. If you’ve been a victim of such a circumstance, you may be entitled to compensation. One of the most difficult situations to overcome is a wrongful death in which the loss of a loved one or friend could have been prevented. When loss occurs from the reckless behavior of another, Ianelli Law prepares the information and evidence to prove negligence on the part of another person or entity. Many times, a single person is responsible, while at other times, it could be a corporation or business that is at fault. Either way, Ianelli Law can ensure you receive maximum compensation for your loss.